We all love beautiful horses, and I hope we also all love good quizzes. Horses + quizzes = great combination that’s difficult to resist, right? Well, the trivia pub quiz below is about horse breeds, so it’s a bit easier than your usual horse questions and answers test. It still requires a bit of general knowledge of the various horse breeds out there and maybe also a bit of luck. I’m pretty sure you’ll excel in it while having a lot of fun, and if you want to share your score, please feel free to do it in the comment section under the quiz. 1.3 3. Which of the following horses does NOT belong to the warm-blooded group? 1.4 4. Which one of the following horse breeds was nicknamed “Golden Horse”? 1.5 5. Which of these is a horse breed? 1.6 6. Which is the most owned horse breed in the United States today? 1.7 7. How many different horse breeds are there? 1.8 8. Which of the following horse breeds is regarded as gaited? 1.9 9. 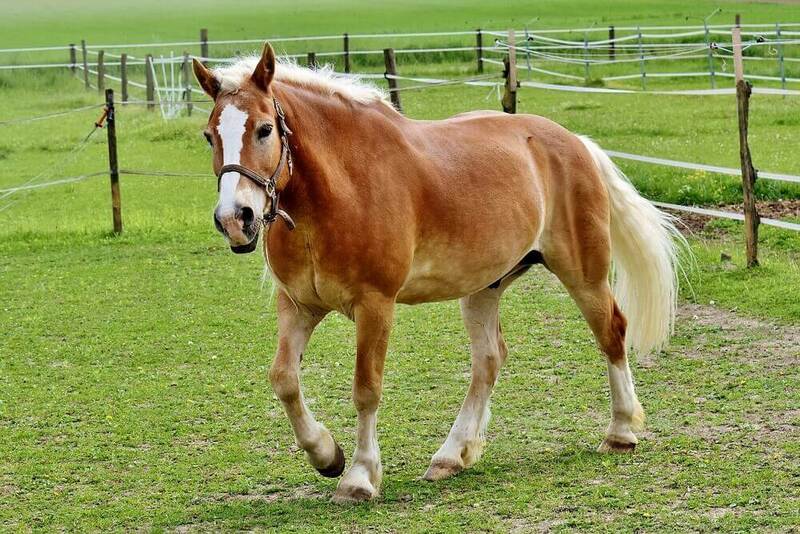 Which of these horse breeds are amongst the LEAST prone to laminitis? 1.10 10. Which of the following horse breeds does NOT have feathers? 1.12 12. Which of these three Indian horses is usually described as the original Polo pony? 1.14 14. Mustangs are descendants of _________ ? When you click on the ‘+’ symbol, you’ll find the correct answer. Let’s start with the horse breeds quiz! 3. Which of the following horses does NOT belong to the warm-blooded group? 4. Which one of the following horse breeds was nicknamed “Golden Horse”? 5. Which of these is a horse breed? 6. Which is the most owned horse breed in the United States today? 7. How many different horse breeds are there? 8. Which of the following horse breeds is regarded as gaited? 9. Which of these horse breeds are amongst the LEAST prone to laminitis? 10. Which of the following horse breeds does NOT have feathers? 12. Which of these three Indian horses is usually described as the original Polo pony? 14. Mustangs are descendants of _________ ? All done? What do you think? Was it hard or easy? Please tell us in the comment section below how well you did. Sam is a founder and editor of Horses & Foals. In personal life he is a proud father of a boy and twin girls. He believes it is more important than ever before to encourage children to experience the joy of horse riding. Horses make as much sense as the sunshine in our world. 11/15 scored, great quiz really got you thinking, interesting !! #15 is a trick question. I think the answer should be “Belgian” because Belgians traditionally have docked tails. Appaloosas have normal length tail bones. Their hair is just thin.